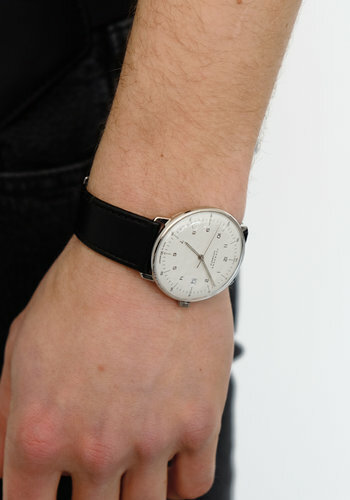 An every day time piece of the Bauhaus legend's iconic collection. 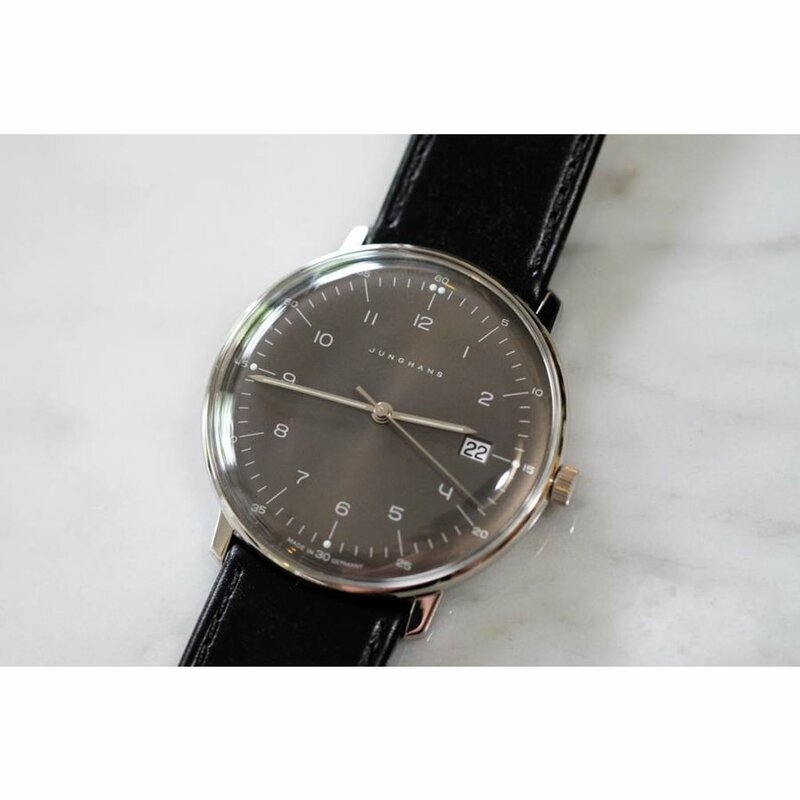 Featuring a reliable Quartz movement and stainless steel casing to showcase a dark and modern grey face, it combines classic watchmaking artistry with mid-century design. Junghans Max Bill Quartz watch is made in Germany with the same traditions employed by Junghans for over 150 years. 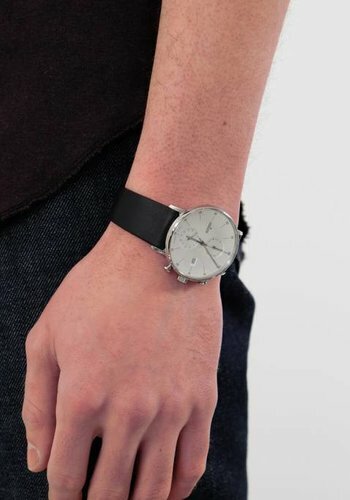 Features: Quartz movement, stainless steel, Ø 38.0 mm, height 7.9 mm, convex hard plexiglass with coating for enhanced scratch resistance, sunray brush dark grey face, minute track and hands with environmentally friendly luminous substance, calfskin strap with stainless steel buckle, splash resistant. 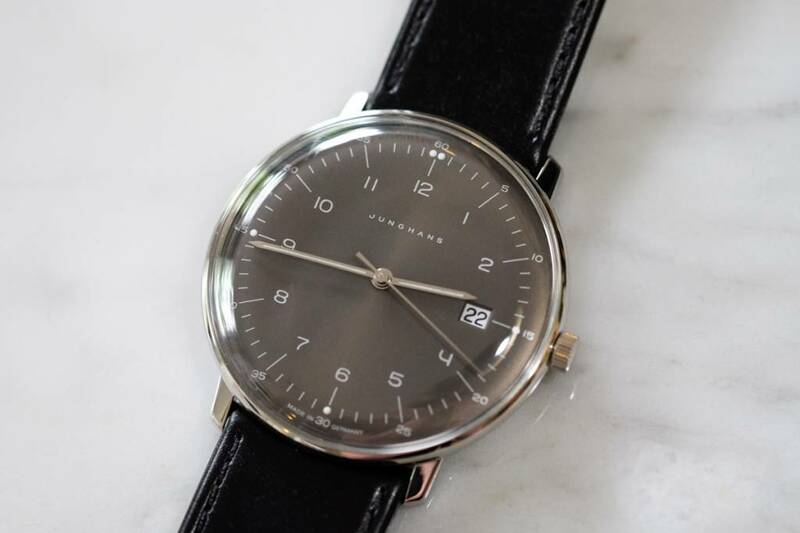 Known for its clean lines and uncluttered design the Max Bill collection from Junghans merges precision german watchmaking with one designers concept for a more perfect wristwatch. 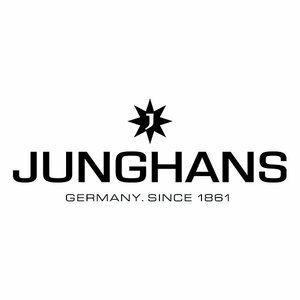 Max Bill is known as an architect, painter, and sculptor, however to watch enthusiasts he is the creative force behind this iconic collection of watches from Junghans.